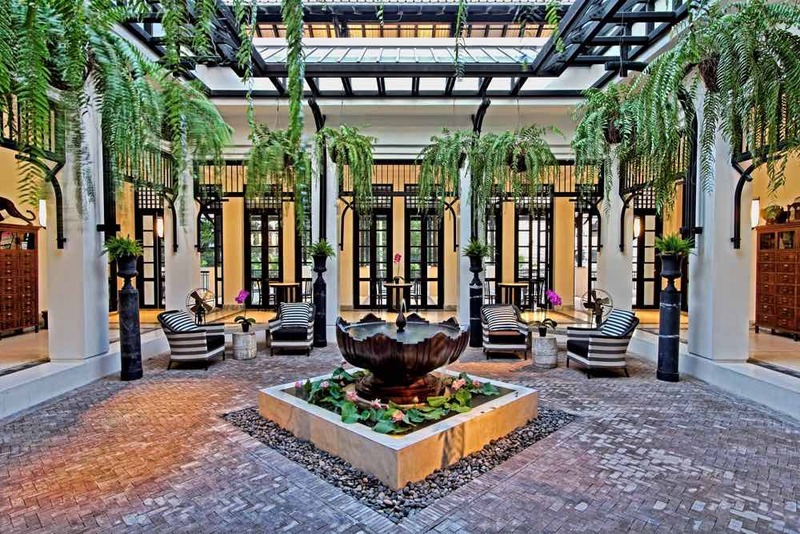 The Siam was conceived by creative director and celebrity Krissada Sukosol Clapp, together with globally acclaimed architect and interior/landscape designer Bill Bensley, one of Architectural Digest’s ‘Top 100 Designers and Most Creative People’. When Krissada inherited a piece of prime riverside land, he was instantly inspired to build a hotel there to house his substantial collection of antiques. Knowing the property had to stand out he brought Bill Bensley on board. Kriss explains, ‘Bill is entirely original. The Siam is the newest addition to, and crown jewel of, the growing portfolio of independently owned and operated properties that make up Sukosol Hotels (part of the Sukosol Group). The Siam spirit is to create a luxury experience embracing every moment and every individual with sincerity, integrity and a passion for service. To be the number one luxury urban resort in Bangkok providing sincere and intuitive service for our guests, staff and partners, whilst creating a memorable experience for all.